It's been a while since we have stumbled across some awesome home decor and recently we stumbled across a quote that we felt is so fitting for our powerful, strong sorority sisters. The quote is from Shakespeare and reads: "Though she be but little, she is fierce". Well, in true sorority girl fashion, we decided to go on a quest to find cute home and every day accessory pieces that show off such a strong quote. Shop our favorites above! Can you believe January is almost over?! Time flies when you're having fun, right? With the transition from winter to spring, there are tons of cute & fun things hitting the department stores and here are some of our favorite items for the month of January! Every month we gather our favorite items of the month to showcase. What are some of your favorite things for the month of January?! We're back with our favorite things for this October! We are so thrilled that Fall season has commenced because we are suckers for pumpkin spice lattes, beanies, over the knee boots, and those famous Rom Coms to snuggle up watching. It should be no surprise then why we chose some of our favorite things above! Fringe is 100% a Fall fashion trend so the Rebecca Minkoff Fringe Purse and the Lucky Brand Booties are necessary closet editions. Ever since Solange dawned a cape dress for her wedding, we have been obsessed with that look and found a cute wool one called the Wayf Collarless Woven Cap. Earlier in the month we talked about our love for the best primer ever, so naturally we are keeping Givenchy Mister Mat Matifying Foundation Primer high on our shopping list in addition to Laura Mercier Radiance Primer. Holy moly... is September really only less than two weeks away? It feels like it was just yesterday that we were jumping for joy for the first day of Summer! 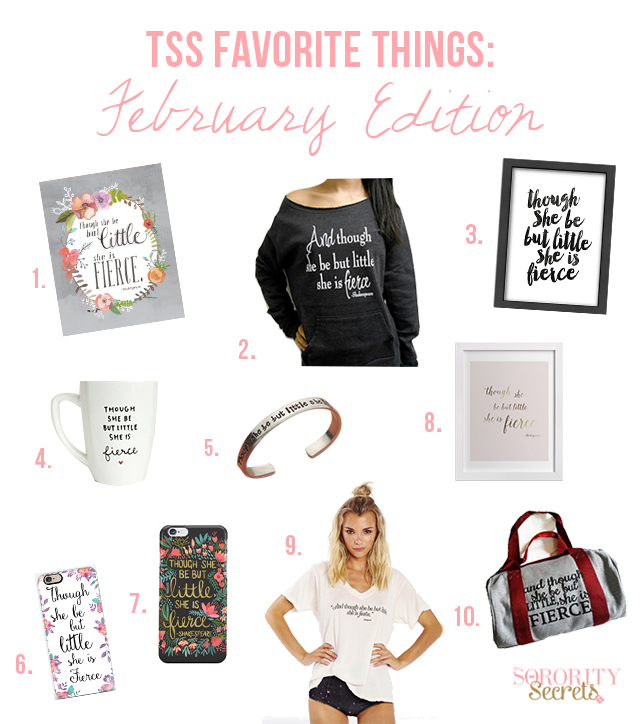 Well we're here to kick off the week with our monthly TSS Favorite Things! Here's some of our favorite items of the month! TOPSHOP: Espadrilles - I've been obsessing over espadrilles lately! There's nothing better than shoes that are cute & comfy! J.Crew: Power Card - I'm constantly on my phone and I'm always stressing that my phone is going to die! Luckily I have this adorable power card to charge anything with a USB power cord. Adia Kibur: Band Ring - I really like the look of simple band rings. These really go with anything! J.Brand: Black Distressed Jeans - I've been looking everywhere for black skinny jeans with distressed details. These are the perfect look! Anastasia: Brow Pomade - Eyebrows are everything. This pomade lasts all day, and applies easily! MAC: Perfume - My signature fragrance... the scent makes me feel happy! Minimergency: Emergency Kit - This little pouch carries everything from a mouth refresher, a band-aid, clear nail polish, nail polish remover, deodorant, stain remover, lip balm, shemergency tape (double-sided tape), safety pin, and more! Yup... all in this little pouch that's smaller than the size of your palm! Converse: Sneakers - You can never go wrong with the classic white Chuck Taylors! They're the perfect sneakers to dress cute & casual! Baggu: Tote - If you've never had a Baggu tote, you're missing out. These totes are really inexpensive and you can practically use it for everything and anything! Oh boy, June is coming to an end already and our summer has been absolutely crazy! Like every month, we gather our favorite things of the month and compile them just for our readers! 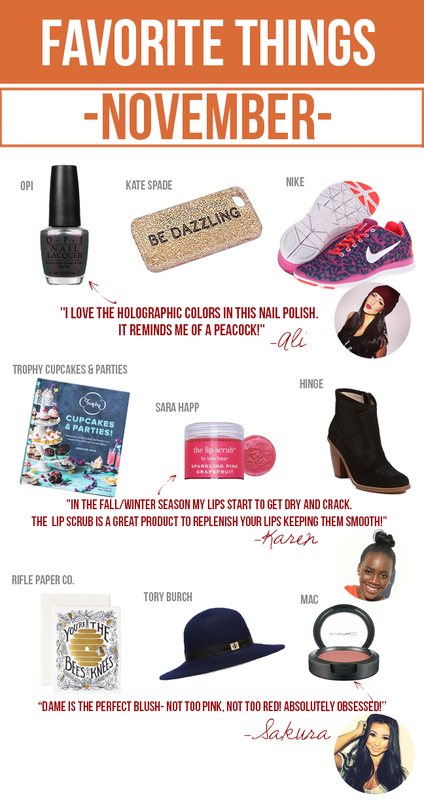 This month, we have a little bit of everything from books, lip glosses, to speakers! 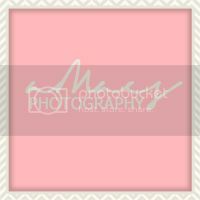 Check them out and share with us what your favorite things of June are! This month for our Favorite Things we are featuring Hayden Reis tote bags! It is the perfect summer accessory and we really have enjoyed our totes. So who is Hayden Reis? Hayden Reis is a colorful collection of chic, functional and playful sailcloth totes and accessories that are proudly made in the USA. The line, created by fashion-forward Florida native Emily Stroud, was designed to solve a familiar fashion dilemma. You are a lover of designer handbags, but occasionally you need a tote bag that is big enough to carry the kitchen sink that is stylish at the same time. After all, no well-dressed gal wants to damage a Louis or get grime on a Gucci. Karen recently used her Big Island Black & Sand White Zipper Tote in Cabo, Mexico for a wedding and she said it was the perfect beach tote bag because it was durable and surprisingly spacious. The material is water-proof and the designs come a plenty! When you're getting ready to take a trip to the pool or beach, consider Hayden Reis! April is here and it officially is starting to feel like Spring! This past month was a big month for us with birthdays, wedding celebrations, and lots of traveling. We've gathered some of our favorite items of this month for you all to check out! Sakura's Tangle Teezer comb has been a big secret we have been wanting to share along with the super trendy initial earrings that we have been seeing on tons of celebrities! What are some of your favorite items of April?? We're well into the month of love, aka February and we have some new favorite things that we wanted to share! Sakura and Karen found a new love for their new favorite nail polish and Ali found the perfect fragrance for a big day! We've Instagrammed some of these items, but thought we would share it so you know where to find these products- just click the links above! My oh my- Holiday seasons are finally over and it is officially 2014! We hope Santa was good to everyone this Christmas! Like every month, TSS Founders share their current favorite items of the month and here's the items of January! It's a new year so why not try a new fragrance or a cute new desk calendar from Rifle Paper Co to get organized this year! We hope everyone had a wonderful and safe New Years and here's to another wonderful year!